1. All the berries are naughty, but don't pay much in the way of consequences. Rozzy Raspberry got it a little bit harsher, though her punishment could have been labelled slightly more inappropriate and dangerous when she was locked out of her house overnight for playing a few pranks on her friends. The Munch Bunch have no difficulties making sweeping stereotypical generalisations of whole populations. 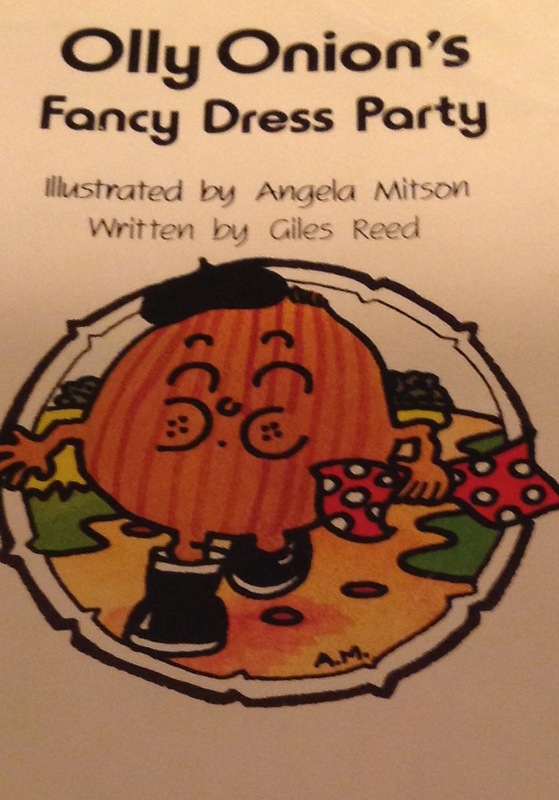 To start off with, there's Ollie the cowardly French onion, who's always crying. 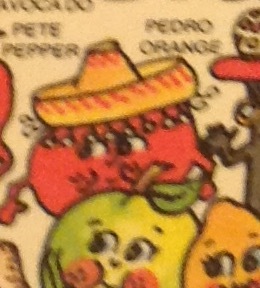 Pedro the Orange, who wears a sombrero and strums an oversized mariachi style guitar. 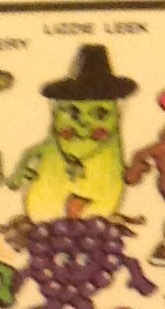 Lizzie the Leek, meek, subservient and wearing a Welsh hat. 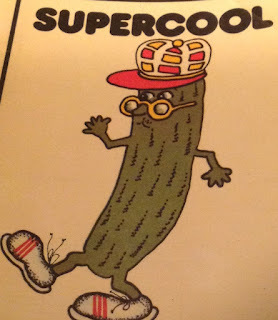 Supercool the cool cucumber, who seems to be a caricature of a Rasta, with his oversized hat and glasses, though appearances can be deceptive I suppose. 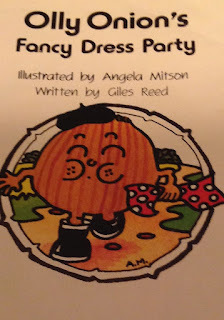 Olly hosts a fancy dress party, presumably one of those frat-house-style ones with a bad taste theme. Tom Tomato decides to try on some cultural misappropriation with a Native American headdress. But, holy crap, is that Professor Peabody behind him, one upping the inappropriateness in a Ku Klux Klan hood? Nurse Plum is the resident medical staff, keeping a small hospital to treat any injuries or illnesses which may strike the Bunch. There's no doctor in sight, but that's OK, some nurses are plenty competent enough to manage on their own. Nurse Plum, however, does have an approach to medicine which could be described as unconventional, at least. 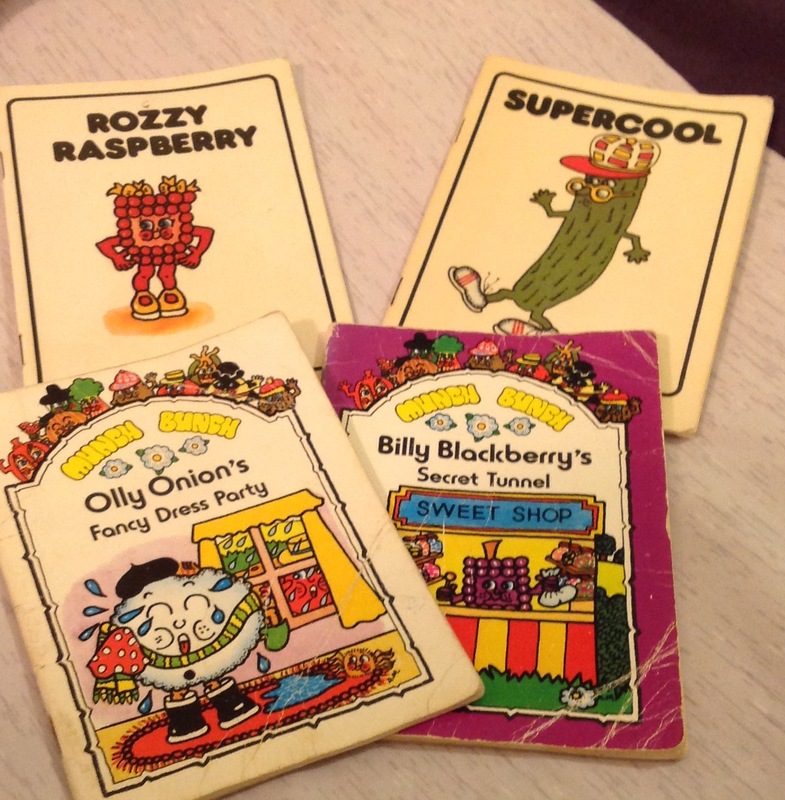 Rozzy Raspberry, who as you may remember is a bit of a trickster, presents with an arrow through the head, having been 'shot by Indians' (there's that cultural sensitivity being laid on thick again). It's a trick, of course, but never mind that for now. 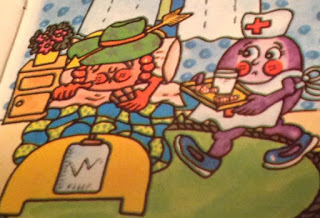 Rather than preparing for neurosurgery, or, you know, examining her patient adequately, Nurse Plum is quick to lay Rozzy Raspberry up in bed and prescribe a course of milk and sweets. You may think this is just the good nurse being kind, but no, she does actually say 'this will make you better in no time'. Of course, th injury being a cruel jape, the worst thing that happened was Rozzy got locked outside for the night, but were an actual traumatic brain injury to present, the moral of this story would be a lot darker than 'be nice to your friends'. You may have noticed this already. Obviously, any attempt to eat a healthy diet with five plus fruit and vegetable servings daily was going to end in grim canibalism. 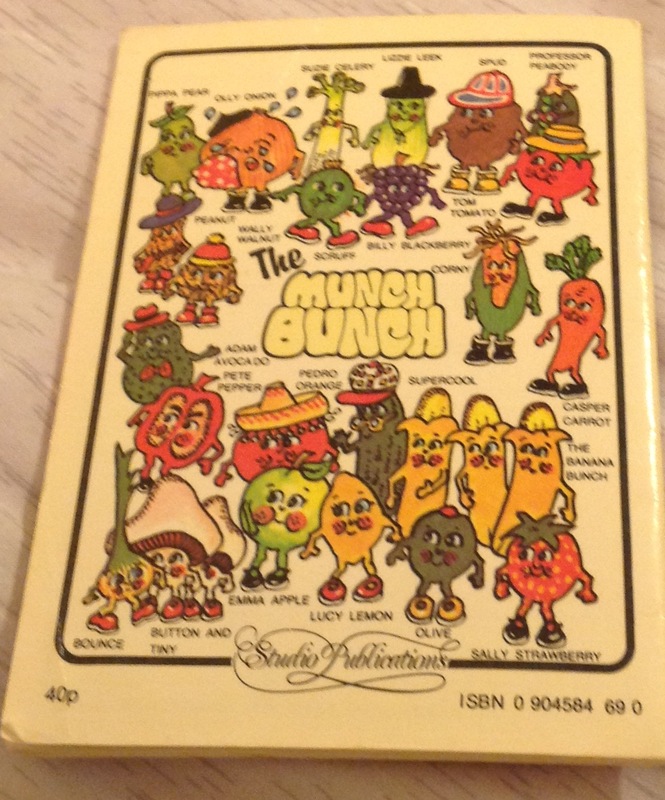 So the Munch Bunch turn to sweets. 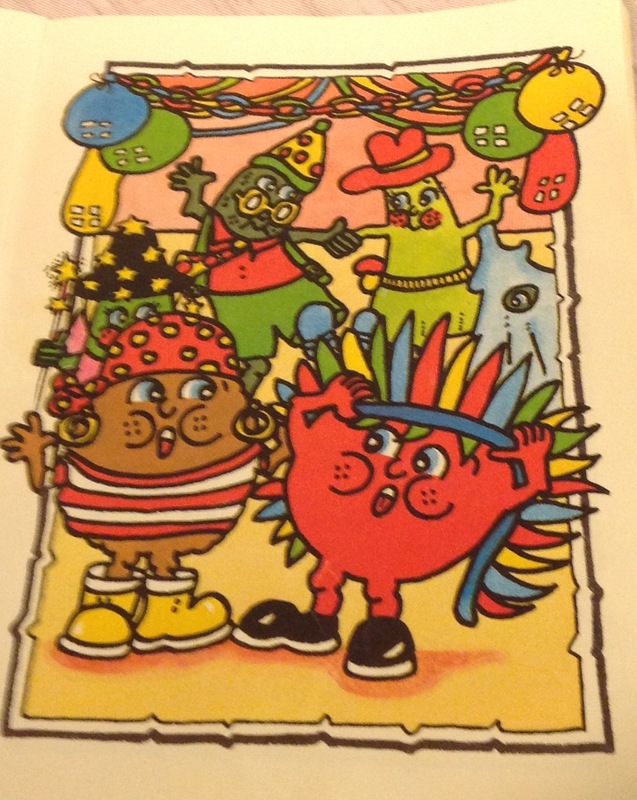 A new sweet shop opens, with 'every type of sweet imaginable', and the whole town has turned out. Not only that, but when sweets start going missing frim said shop, it's a tragedy that resonates throughout the township, enough to bring several townsfolk together to thwart the thieves to end the biggest local crisis since the last spring harvest. And we've already addressed the sweets as medicine fiasco. This sort of book may have been OK back in the loose eighties, but you're probably safer sticking to reading your toddler Game of Thrones these days. 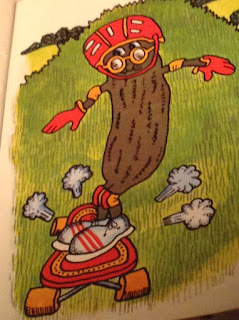 That said, at least the skateboarding Rasta cucumber isn't too cool to use appropriate safety gear.